Learn how to check new stock has been entered onto Symphony correctly, modify entries and process invoices. Learn to access and download Kirklees Libraries' collection of audiobooks, ebooks & digital magazines via Overdrive & Pressreader. 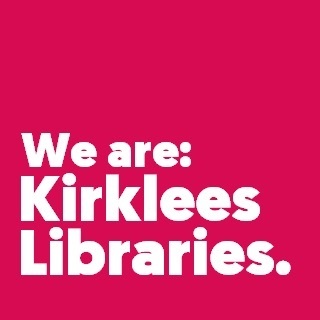 Discover the wealth of on-line resources available from Kirklees Libraries. Bring along your laptop, tablet or phone or use ours. How to plan and promote an effective library event, with helpful tips on how to ensure events meet the Library Service Ambitions and resources to help identify and promote to your target audience. A good display is one of the best ways to promote your stock. Learn what makes a good display and why, plus how to talk to your borrowers about books and their reading recommendations. All workshops start at 10am prompt and run for approximately 2 hours, please only book yourself onto one. You are welcome to bring lunch and network with your fellow volunteers following the workshops, tea and coffee will be available. Are you interested in volunteering with Kirklees Libraries? Call 01484 414868 and ask for 'Huddersfield Library' or email 'volunteer.recruitment@kirklees.gov.uk'.